At the Natural Health and Healing we are helping you to make educated decisions regarding your health by learning about natural health and healing, alternative, holistic, complementary therapies and remedies, in order to be able to prevent disease, and have a healthy Body, Mind, and Spirit. People in North America are starting to realize more-and-more that they have to take charge of their own health by turning to natural health and healing remedies and therapies instead of prescription drugs. By turning to nature itself for cure, instead of expensive doctors visits and prescriptions, we can eliminate huge expenses and heal ourselves. Natural remedies are not only cost-efficient, but they have fever side effects than prescription drugs. Very often, nature is a better healer than heavily commercialized "wonder" drugs. The practice of using natural remedies is not new. It is old as history itself. Animals inherently use plants to heal themselves. Neanderthals did the same thing. People thousands of years ago lived without doctors and prescription drugs. Ancient civilizations have had their various all-natural healing preparations. They turned to nature to heal themselves and their remedies worked. Every culture throughout the world has had its own alternative remedies. Up to modern times natural therapies were used to treat health issues. These remedies work and they still exist, but they are not promoted the same way as fancy packaged prescription drugs. Many are concerned about deteriorating health care system and doctor-patient relationship. But despite the shortcomings of conventional medicine, medical technologies nowadays are so advanced ( especially in treatment of trauma, medical emergencies, serious infections and burns, premature birth, cosmetic and rehabilitative procedures ) that it would be foolish never to visit a doctor. Occasional visits can not be avoided. But, natural health and healing remedies and therapies can help supplement a doctors visit and speed healing. Taking your health into your own hands between doctor’s visits is one of the best things you can do for your body and your mind. By being better informed, you should be able to judge what medical option is best for you: conventional therapies, alternative medicines or a combination of both. Alternatives to doctor-prescribed drugs do exist, and thankfully today we enjoy the freedom of choice. DISCLAMER: The information at this web site is for information purposes only and it is not a substitute for medical care from your doctor or health-care provider. If you have a serious medical condition please visit an appropriate health care professional. 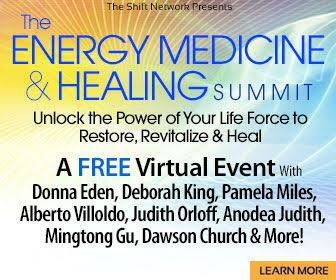 RSVP here for The Energy Medicine & Healing Summit — at no charge. The Natural Health Blog keeps you up-to-date with all the changes and additions to the natural-health-and-healing.com Web Site. Subscribe here. Site Map for www.natural-health-and-healing.com web site. Ayurveda, the science of life, is a comprehensive medical system that has been the traditional system of healthcare in India for more than 5000 years. Acne Control: The Natural Way. Tips to say bye-bye to those zits! Cam news: latest complementary-alternative medicine, weight loss, diet, and nutrition news. EFT, or Emotional Freedom Tecnique may help you to release pain,stress,fear,anxiety,phobias,trauma,lose weight with a tapping technique from the comfort of your home. 47 Simple Herbal Remedies: Learn how-to take care of your health and life with natural herbal remedies and without harmful chemicals. Meditation for health: Meditation is safe, free, and has no negative side effects. It's natural and it has substantial long-term effects. Natural Weight Loss: Create a natural and healthy program for yourself to lose the excess weight,keep it off and feel and look great. Improve eyesight: improve your eyesight naturally. Health Links: Other natural health, healing, alternative medicine resources and quality links. Link to us! Free newsletter: Join my free Natural Alternatives Newsletter to receive Information about Alternative Medicine, Holistic Healing, Natural Healing, Natural Diet and Weight Loss and more.